Chinese high school students invited by JF have arrived in Japan!! Hi there! goi of China Center, Tokyo. 32 high school students invited for “Long-term Invitation of Chinese High School Students” of which I’m in charge just came to Japan on August 30!! 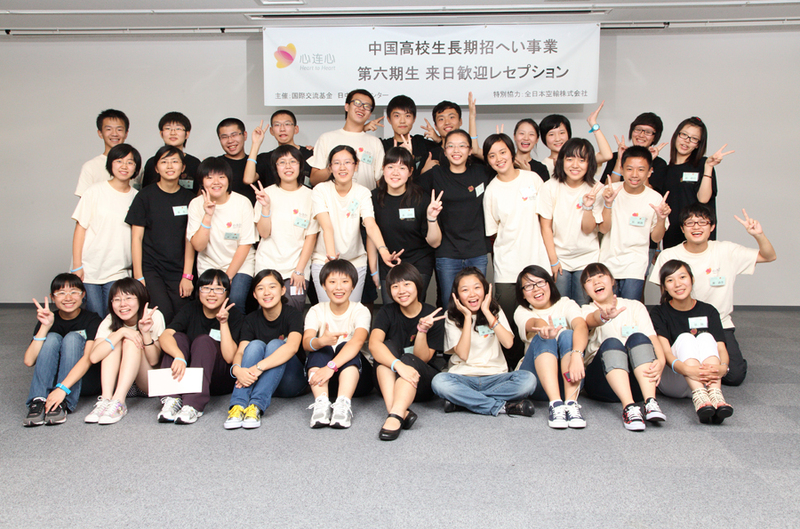 After having five-day training in Tokyo and Saitama, each student departed to their counterparts on September 3 (Sat.) while typhoon was approaching Japan. I’ll give you a brief introduction about the training!! 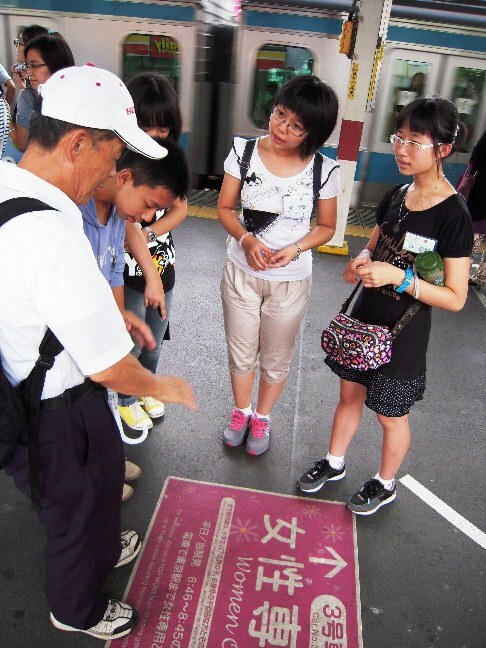 Young Chinese of today who already know a lot about Japan. But there are still many to learn when they actually live in Japan for a certain time of period. 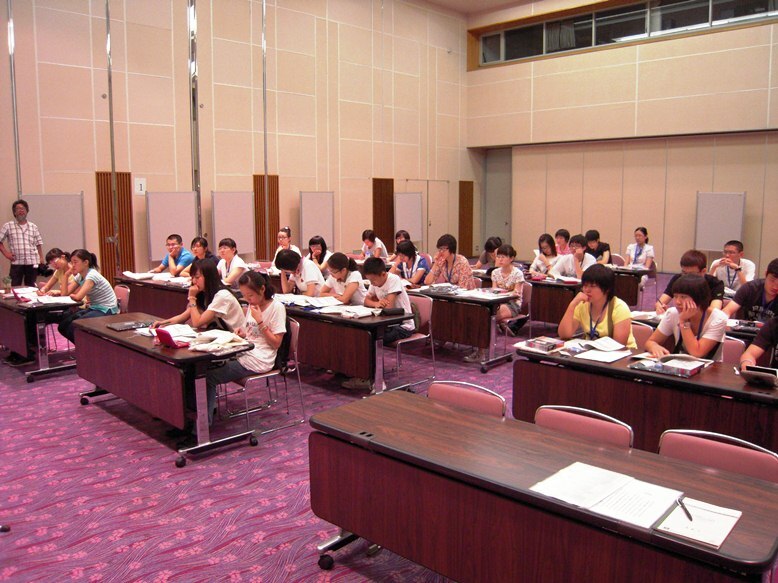 They learned Japanese manners thorough intensive three-day orientation. On the third day, they went out for on-site training with volunteers. They have watched many Japanese amine, manga and drama, but walking around the real city is an entirely different story!! For example, a women-only train car attracted much attention of all of them. After walking in the city, each group made a presentation on what they had found through their small tour by making a wall newspaper. Chinese high school students seemed to be good at this sort of assignment. They summarized a report quickly, and a presenter was also decided right away. 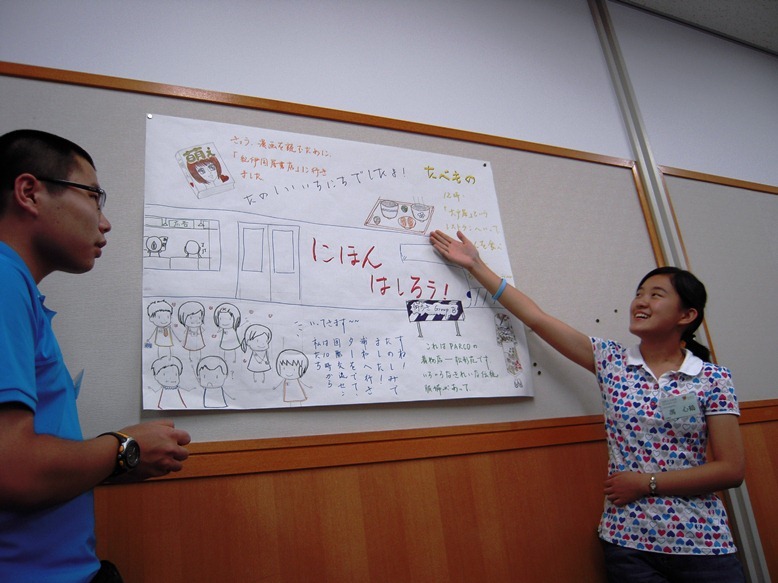 Japanese high school students, even university students should learn from the way Chinese high school students behave. Like this, the students spent all the three days for only training, and they expected to be free on the fourth day……..
On the fourth day, they were continuously under pressure such as visiting Embassy of the People’s Republic of China in Japan and Ministry of Foreign Affairs. What a pity! But don’t worry! There was room for refreshment between training programs! 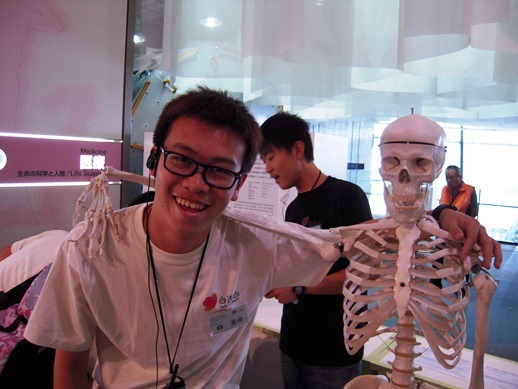 This year, the high school students visited the National Museum of Emerging Science and Innovation to view Japanese leading-edge technology (They saw ASIMO as well!!). In time, the five-day training in Japan came to an end. Leaving such interesting stories behind, the 32 high school students departed for where they would start a new life on September 3. I’m curious about what kind of stories will be made during their stay in Japan. I cannot wait to listen to their stories! !